Guess who’s getting the new A-Class Hatchback? You guessed right — Mercedes-Benz Kamloops is! 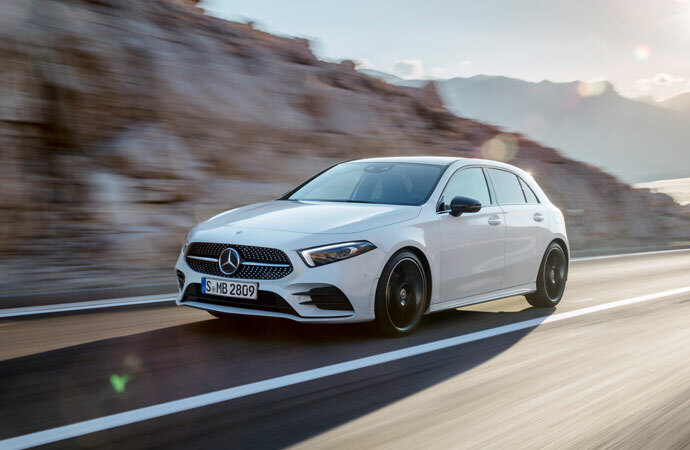 In addition to the physical appearance of the A-Class, the Hatchback’s MBUX — Mercedes-Benz User Experience, sets new standards as its artificial intelligence makes it unique. You can personalize your car and have the ability to set the digital screens to your preferred combination of information. Drivers can control the new A-Class system in several ways; by voice control, touchscreen, a touchpad on the centre console or touch-sensitive panels on the steering wheel. The new A-Class will adapt to each user. Benefits include a large luggage compartment, easier access to the rear and ample head and shoulder room. Also, for the guy and gal on the go, cup holders for mugs, bottles and cans up to 0.5 litres. The A-Class reflects sportiness, dynamism and emotion.